← Weekly Update: So much going on for the start of the year! Weekly Update: Wow what a busy, busy week. Let me put work aside here for a minute. Yes, work was crazy, crazy busy. I mean like can anything more happen in a given week of work? That being said, it was also a busy week with getting V & A Shipping ready to go. Edits have been applied and I’ve been working on formatting the interior of the book for both ebook release and print release. I spent the week working with Starla Hutchon to get a cover ready to go and today I paid for and received my cover! This is an exciting time. Not only were we able to get the ebook cover completed, but I’ve also got the print cover in my hot little hands. This is so exciting! My decision on the cover was based on what I’d consider a lower quality graphic. Now that I see all the detail in this version, I’m even more excited than I was when I paid for my cover. This looks so good! Starla and I had a 30 minute conversation about what he cover would look like. We had a couple back and forths about certain elements, and in the end, this is what I got. I couldn’t be happier. So like I said, I’ve been working diligently on getting the interior of the ebook and print books up to what I feel is a publishable level. Not just the words, but the appearance. I want it to look good, not just read well. I think I’ve gotten this story to that point. I’ve adjusted, finagled, tweaked, exported, compiled, and uploaded until I’m blue in the face. BUT, not only do I have the ebook version ready to go, I also have the print book version ready to go well ahead of schedule. What don’t I have ready? Well, I want to blog this story as well. It’s currently 85 chapters (plus an epilogue) and I need to break that up into chunks so it’ll run from 2/1/2013 to 4/1/2013. On 4/1 I’ll have my next book (hopefully) ready to release and being blogging that one to coincide with the release date. There is much work to do and I’m realizing that I should have spent more time getting Astel ready to go. What am I going to do to promote this book? Not much. I know, sounds silly, doesn’t it? Well, consider this. I want to release a large number of books over the next couple of years. If all goes right, one book every two months. That’s aggressive. That’s a brutal schedule to keep up with as well as pumping out new fiction, holding down a full time job, going to volleyball tournaments, working on Sputtery Truck (replaced the coils and plugs this weekend with help from The Millican) and just having some semblance of a personal life. I’ve already packed in as much as I can. If I start doing a ton of promo work that I don’t even know if it’ll pay off, that’s time I could be spending completed V&A Shipping II and getting it ready to publish before the end of this year. Yes, I’m still working on that. I’m also still working on Golden West despite a minor delay in publication. There’s a lot to do and I would rather spend time right now getting things into print knowing that getting another book out is the most important thing I could be doing right now. I will, however, be having contests so be on the lookout for those! Well, one of the most important things. The next thing is to get a store built on my site to people can buy direct. I plan on offering autographed copies from my site. I’ll also work on digitally signed copies. I also need to get all of my short stories available on my site. I’ve been doing some work on ofgnomesanddwarves.com and I need to do some work here at jrmurdock.com. So there’s still a lot of work I need to do prior to my 2/1/13 release date of V&A Shipping. Yes, I could release it today. Yes, I could just hit the button and go, but I’d rather make sure that I’ve got every set up and ready. I’m far more prepared this time for a book release than I was the last time. That leads me to a final topic, would you like an advanced copy to review? Hit me up and I’ll make sure to get one over to you. There’s still 2 weeks before the actual release date. I only have ebooks available as I need to order the print copies and approve the drafts before those will be available. There is so much to do I’m just trying to keep my head wrapped around it all. Seriously though, I’d rather be doing too much than just sitting idle and wishing my books were getting published. So I’d better get at it! 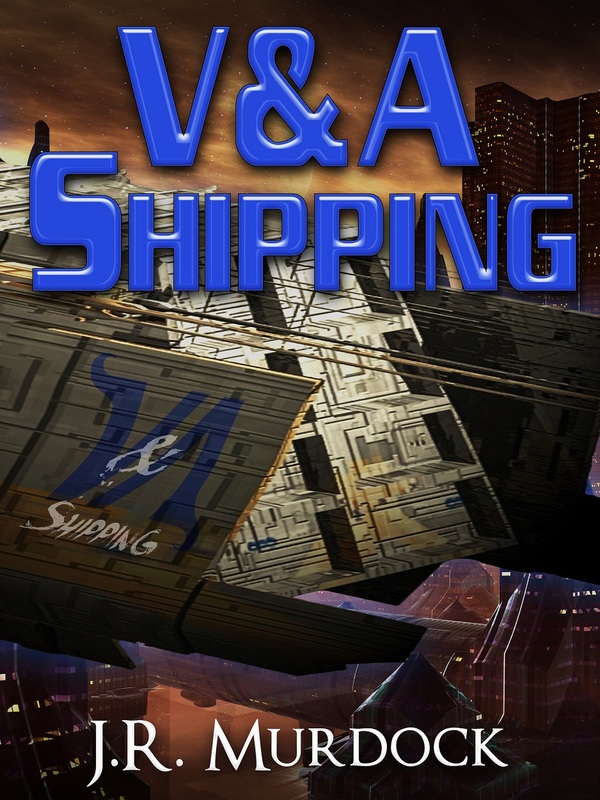 Posted on January 14, 2013, in Weekly Update and tagged cover reveal, v&A shipping, weekly update. Bookmark the permalink. 1 Comment.